Royal Liverpool Golf Club will host the Open Championship in 2022. 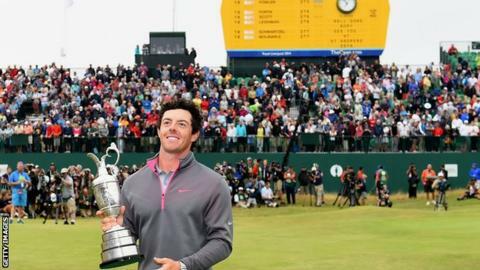 It will be the 13th time the Hoylake venue has hosted the championship, with Rory McIlroy winning on the last occasion it staged the event in 2014. Governing body the R&A said the 151st edition of the major will take place from 10-17 July. "We know that there will be tremendous excitement among golf fans at its return to Royal Liverpool," said Martin Slumbers, chief executive of the R&A. "Its famous links has a cherished history and has produced a revered group of champion golfers, including Tiger Woods and Rory McIlroy most recently." Royal Liverpool returned to the Open rota after a 39-year gap in 2006.